My husband and I don’t get out very much anymore. I mean, we get to go out to eat on the weekend, but it’s never alone. We usually have the kids tagging along with us. So when we do get a kid-free day we like to make the most of it! My husband will plan out an amazing meal and before dinner I’ll get some happy hour snacks and drinks together for us to enjoy. 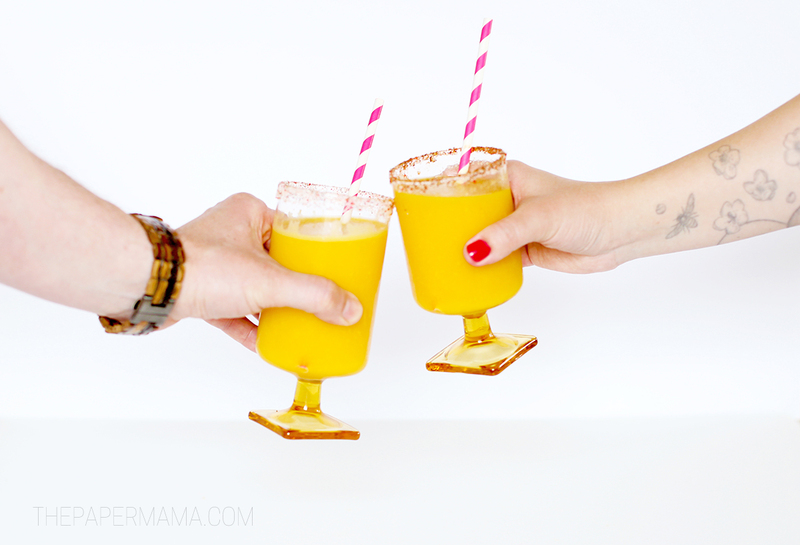 Today’s Prosecco Mango Margarita drink recipe is a fun little spicy drink. 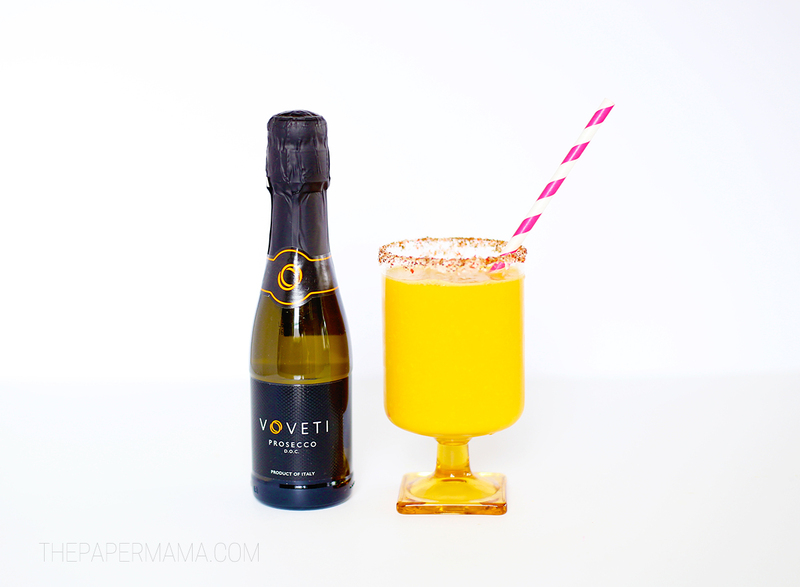 The chili powder salt rim adds a little heat to this drink and the frozen mango and VOVETI Prosecco cools it down. 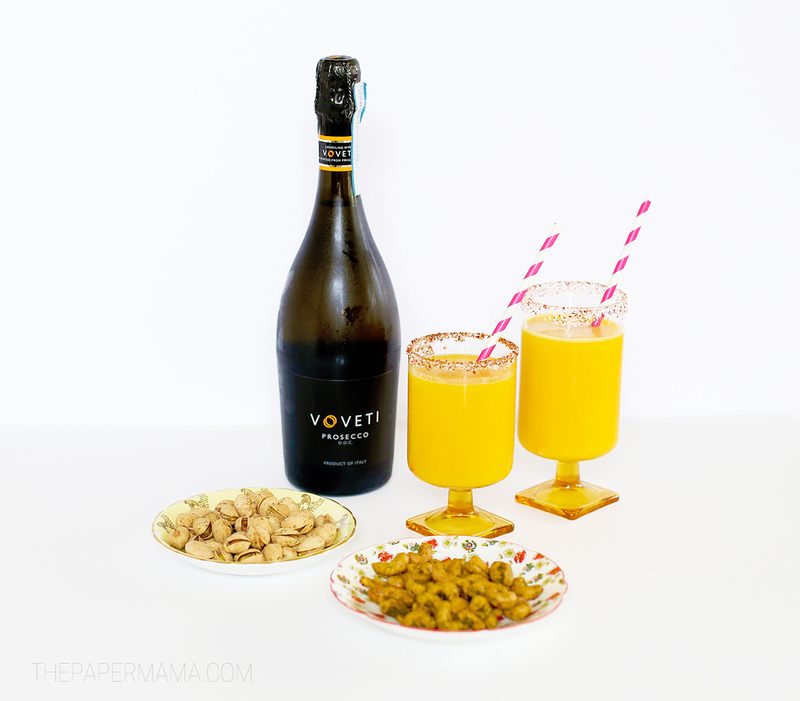 VOVETI prosecco is dry and features flavors or pear, green apple, melon and ripe peach that endure on the palate and invite a second glass (it goes perfectly with mango). I love margaritas, but I’m not a fan of hard alcohol. 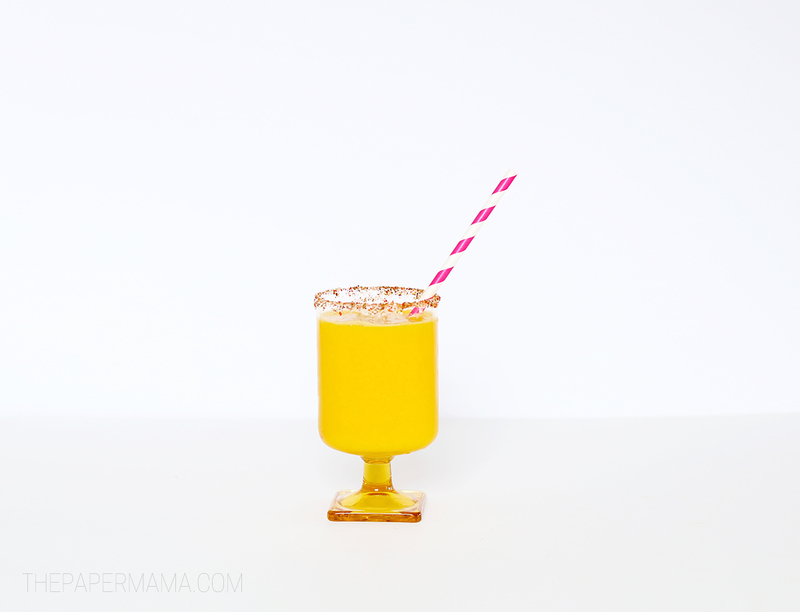 This drink is just as tasty as any other mango margarita out there, minus the tequila flavor and with a little bit of bubbles! 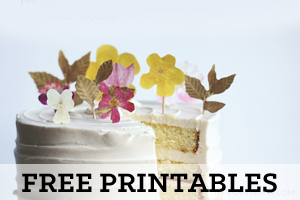 It’s pretty darn easy to make and I really think it will be perfect for your happy hour summer time! 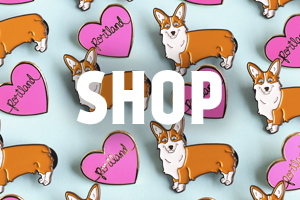 Just add some yummy snacks. Doesn’t it look good? I wish you could smell it and taste it right now. Step 1: You will need a blender or food processor for this drink (our blender broke so we just used our food processor and it worked great). Blend them until the mango is cut into tiny pieces. 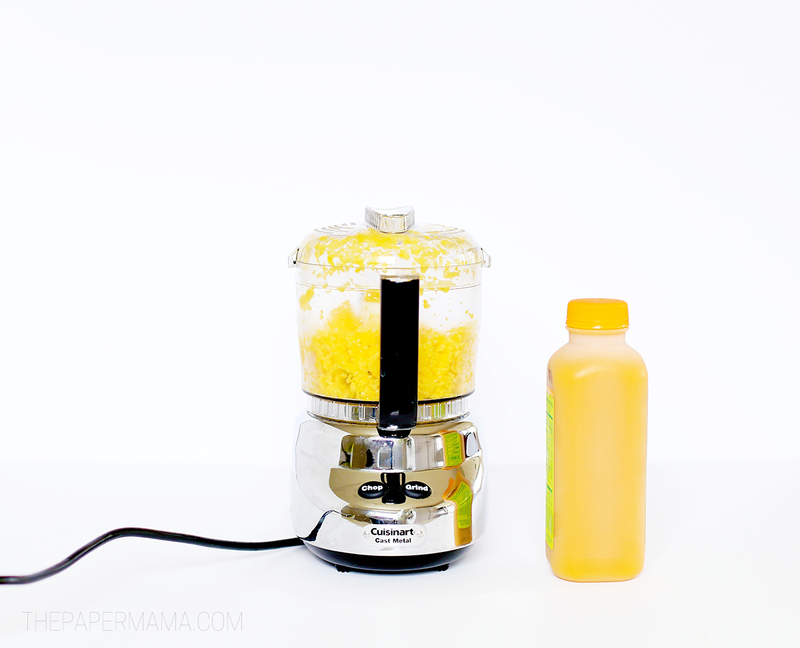 Step 2: Add the mango smoothie drink at a 1/2 cup at a time and blend. Add more smoothie to the processor if you want a smoother margarita. Step 3: Cut your lime in half and squeeze the juice into the mango mixture and blend. Step 4: Mix together some salt and chili powder on a small plate. The amount of chili powder is up to you (I like it a little spicier, so I added a bit more). 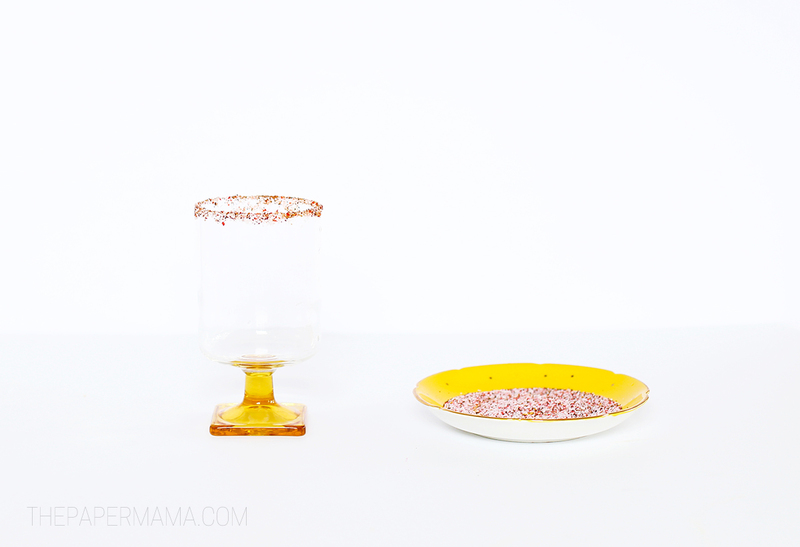 Rim the top of your glasses with a bit of lime juice and dip it in the salt. Step 5: Put your mango mixture into a pitcher. 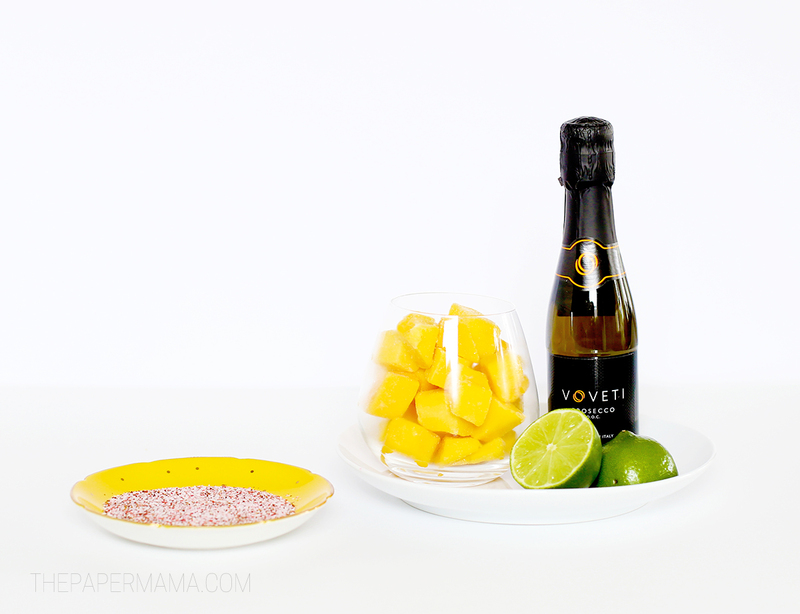 Pour the two VOVETI prosecco mini bottles into the pitcher and stir. Serve your drinks ASAP! They are best freshly made. 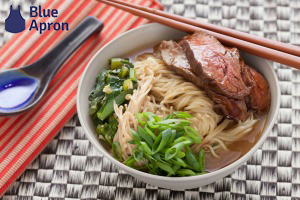 Check out my video below to see how easy it is to make! Let me know if you make this drink. 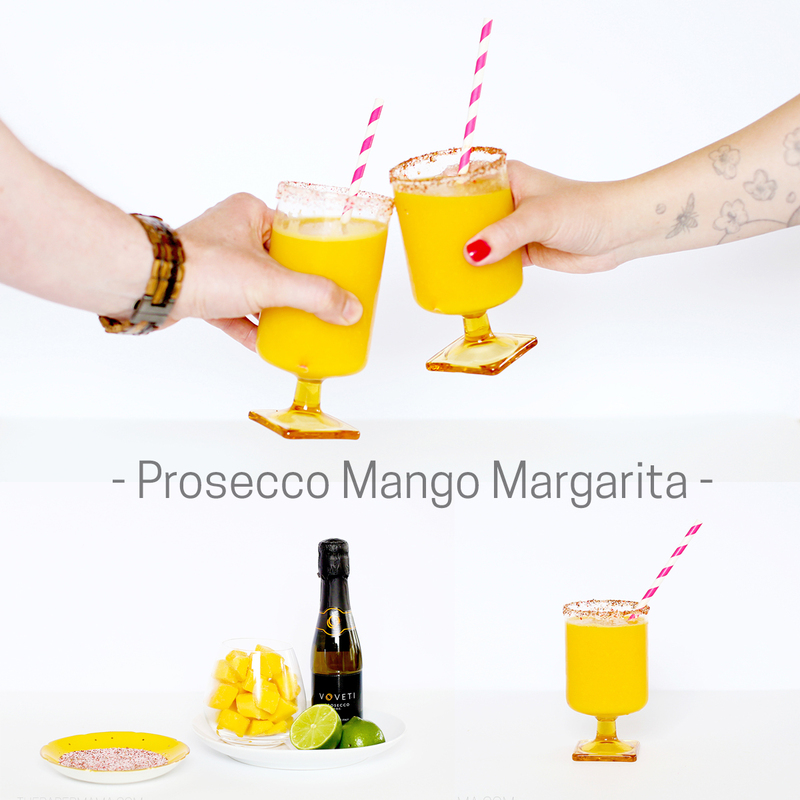 I think it’s the perfect faux margarita for the summer. VOVETI is a Prosecco crafted from vineyard to cellar meant to share, inspire, and entertain the senses. Enjoy the adventure!